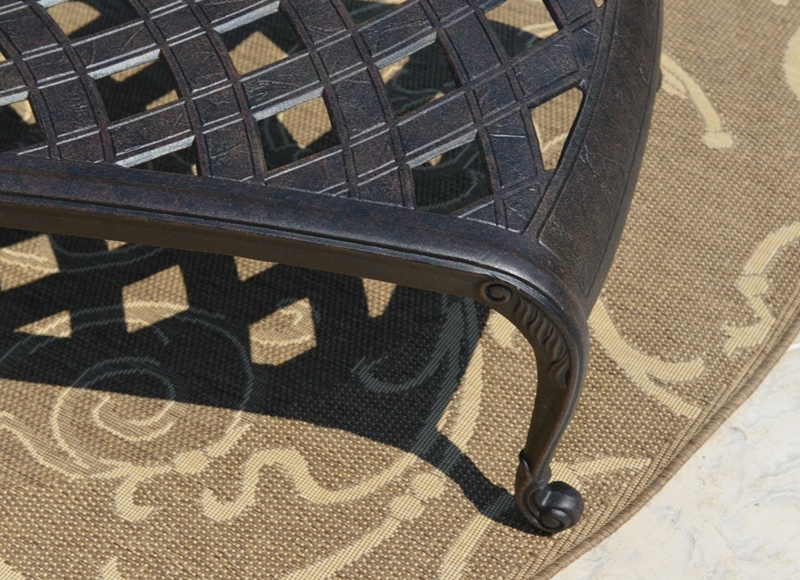 Paradise is just a few steps away with the Amalia cast aluminum chaise lounge set. 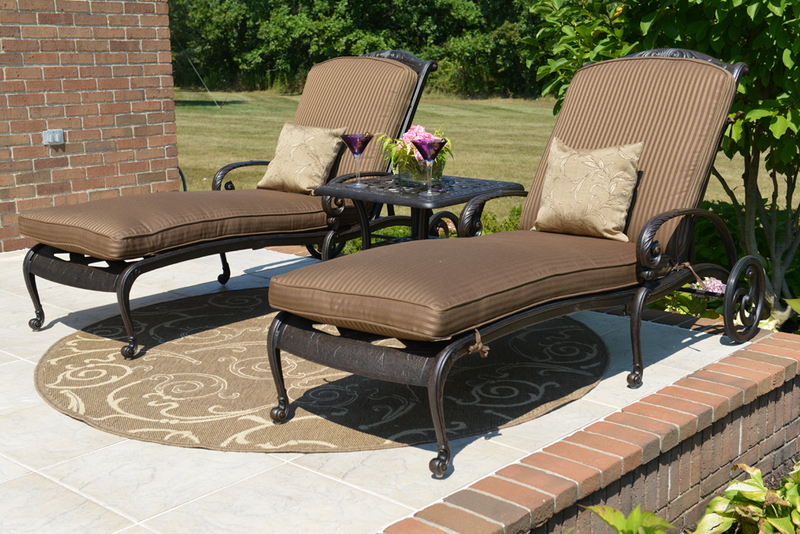 This opulent patio chat set set has plenty of room for two to lounge in grand style. 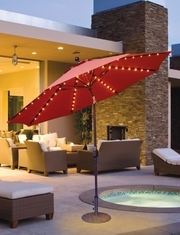 With its fully welded, powder coated cast aluminum frames, these outdoor chaise lounges will not rust or corrode when exposed to the most rigid outdoor elements. 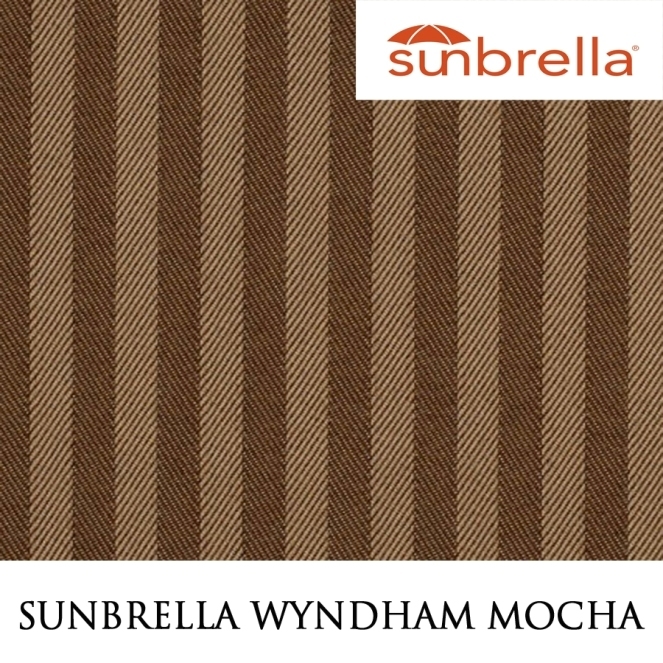 Comfort is at a premium with the thick, lush all weather cushions encased in Sunbrella Wyndham Mocha fabric. 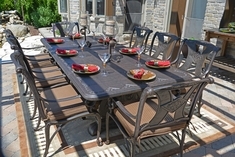 These high quality cushions will not fade in the sun ensuring that your set retains its beauty for years to come. 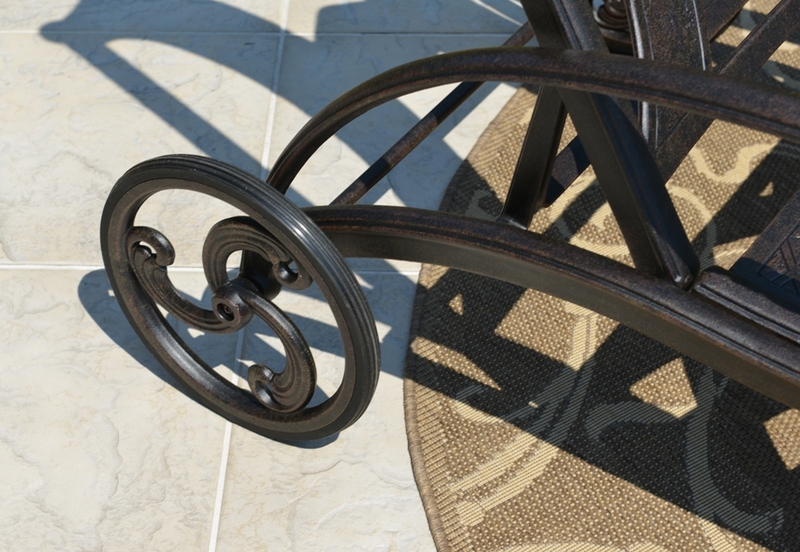 If you are looking for a change, the non-marking feet, along with the rear wheels, make moving your lounge a breeze offering you versatility in your outdoor setting. 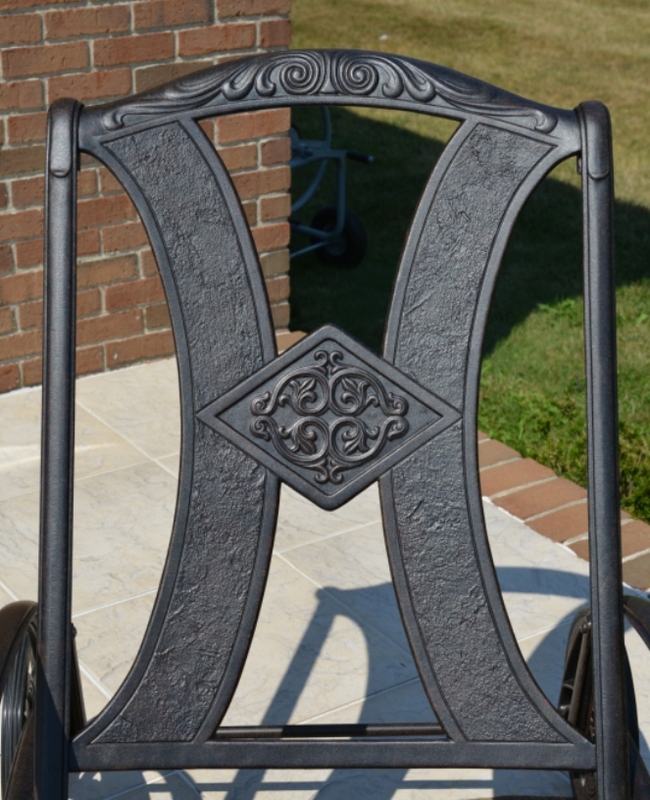 The Amalia cast aluminum chaise lounge set is relaxation at its finest.